Excavations held at Haghpat brought forth Bronze Age findings, while River Debed proves that those territories were inhabited still in the Old Stone Age. 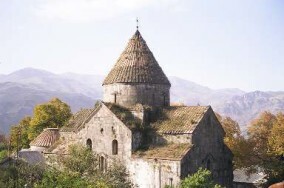 A church was erected in Haghpat in the fourth century. 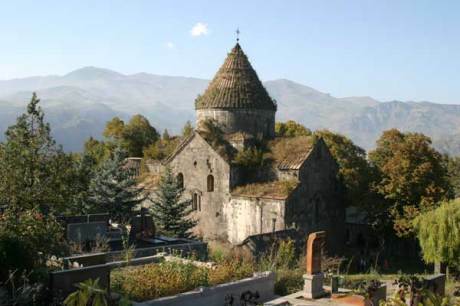 It is thought the monastery of Haghpat was built during the rule of Abas Bagratuni (929-953), though it should be noted that the construction of the monastery’s oldest building was launched in 976 and completed in 991 during the reign of Ashot III the Merciful. 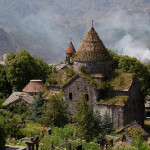 Already in the middle of the 13th century Haghpat became one of the largest religious and educational centers in Armenia. 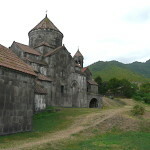 Haghpat was Lori’s religious center from the 11th century and back then used to compete with its brother monastery of Sanahin. 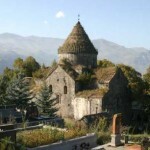 On the eve of Mongol attacks Haghpat’s bishop Hovhannes Matsnabertsi built the Fortress of Kayan, while his cousin Prince Shahnshah whose father was buried in Sanahin destroyed the fortress. 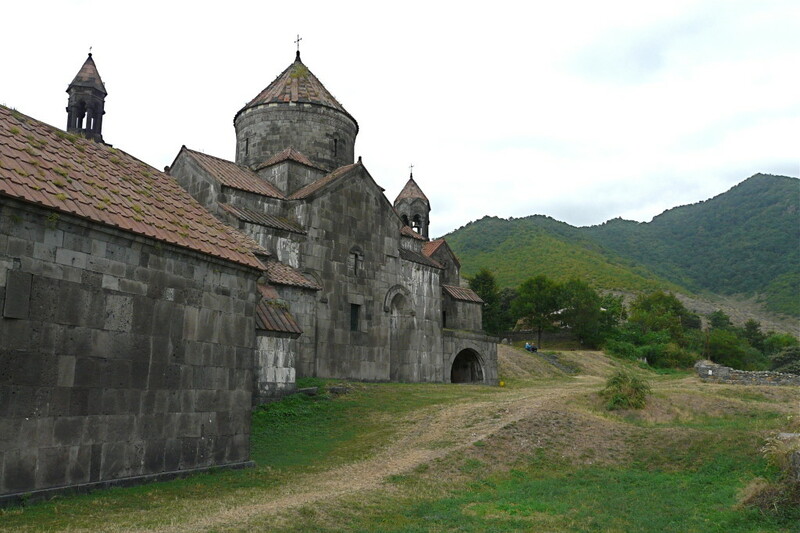 The Mongols plundered both the monastery of Haghpat and the monastery of Sanahin. 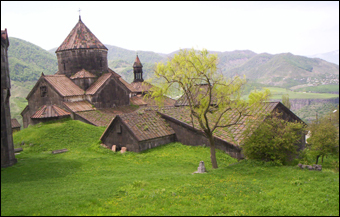 Sanahin: It is in the north of the country, in the province of Lori, on a high plateau on the right bank of the river Debed. 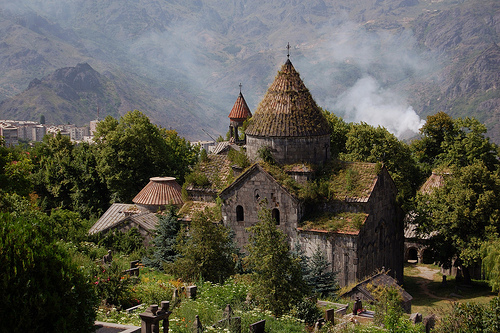 The name Sanahin in Armenian means “older than that” evoking that it is older than the nearby Haghpat monastery. 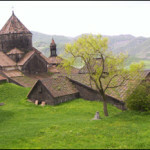 The monastery was founded by the Armenian monks escaped from Byzantium by the persecutions of the Byzantine emperor. At the time of Bagratuni dynasty culture was of great importance. There was an educational institution where humanities, medicine and other sciences were taught and there was a script in which many manuscripts with miniatures were found.